Non-fiction – paperback; Ebury Press; 368 pages; 2008. 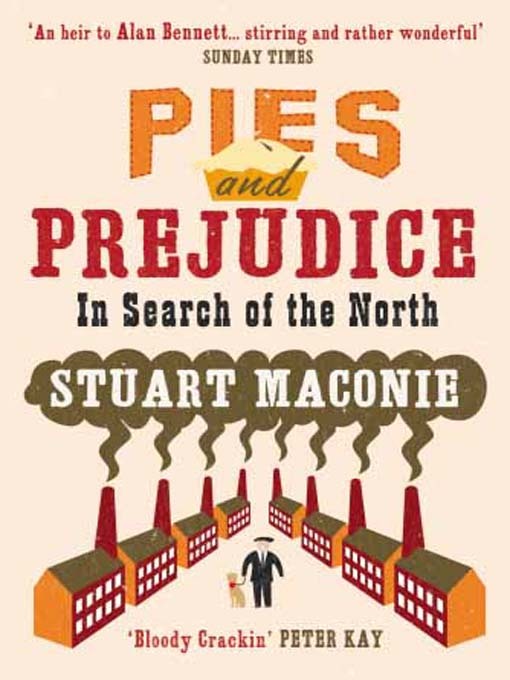 The North-South divide in Great Britain is the subject of this rather tongue-in-cheek travelogue by Northern journalist and broadcaster Stuart Maconie. Good or bad, ‘the north’ means something to all English people wherever they hail from. To people from London — cheery costermonger, cravated fop or Shoreditch-based web designer on stupid scooter alike — it means desolation, arctic temperatures, mushy peas, a cultural wasteland with limited shopping opportunities and populated by aggressive trolls. To northerners it means home, truth, beauty, valour, romance, warm and characterful people, real beer and decent chip shops. And in this we are undoubtedly biased, of course. The Smiths’ songs drip, like an evening drizzle off the Moors, with references to Manchester and its environs. Rusholme, Strangeways, Southern Cemetery, Whalley Range, the Holy Name Church. Morrissey has a video called Hulmerist, a wry reference to his childhood home. In an early interview, he said of his artistic self, ‘I am forever chained to a disused railway line in Wigan’. While Thatcher, witchlike, cast the north into outer darkness, The Smiths’ songs illuminated it anew with northern light and fireworks. We loved them for it. But it’s also clear that Maconie enjoys history and architecture and food, because these subjects are constantly referenced throughout as he makes his way across the country. Each chapter is littered with fascinating facts and figures and snippets of trivia, all delivered in the writer’s trademark witty prose style, which is rather reminiscent of Bill Bryson. His greatest skill, however, is bringing rather drab places to life. He has a certain knack of saying so much in just a few sentences, lovely thumbnail portraits, if you will. Where Bury Market excels, though, is food. In the new Fish Market you can gaze, slightly unnerved, at the dead, sightless eyes of row upon row of sea bass and snapper, mackerel and trout lying in state on funeral dais of crushed ice and parsley. The stalls are staffed by either blonde girls in full make-up who you just know are dying to get out that white coat and into their skimpy glad rags this weekend or cheery rubicund men holding up what look like conger eels and joshing in ribald style with housewives. All of them adhere to Maconie’s first law of market trade: cheeriness is proportional to the gruesome nature of the wares being handled. The grislier the fare, the gayer the banter. By the time I got to the last page I felt bereft: it was that same kind of sad feeling one experiences when a much-enjoyed holiday draws to a close. Having learnt so much about the northern regions of England in Maconie’s company, I was itching to go out there and visit these places myself. Highly recommended, whether you are from North, South or somewhere else entirely! When I lived in the UK I lived in the North so this sounds very interesting to me! Added it to the list! Thank you so much for this review – the book sounds wonderful, and I’ll get it soon. A fascinating subject for this American, because I’ve so often read little subtle references, slurs, jokes between one and the other area, and I’m really interested to learn about the real north. I love a good non-fiction – especially a social commentary. I am adding this to my wishlist. Marg, oooh, whereabouts did you live? Nan, it’s a fun read, but I’m not sure it was written with Americans in mind, so some of the references might go over your head… but worth tracking down if you can. sounds like a book worth reading. I’m originally from the no mans land that is The Midlands. Midlanders are considered southerners by those from the north and northerners by those from the south – can’t win! Louise, hehe… you’re caught in the middle, right? Sounds like a book that I need to find. Isabel, doesn’t seem to be published in USA, but I notice you can order it from Amazon.com and I’m sure if you looked on bookfinder.com you’d be able to find a second-hand merchant on your side of the world who has it in stock. It depends on where you live as to what is north and what is south. To my mother, for example, the south started in Preston (Lancashire). To most southerners, the north starts at Watford Gap.